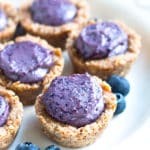 These No-Bake Healthy Blueberry Tarts are naturally sweetened, gluten-free, dairy-free and can easily be made vegan!! These sweet treats are a wonderful addition to your Spring and Summer dessert table. A little over two years ago I released my very first e-book, Free to be Raw. It was a labor of love, full of 30 gluten-free, refined sugar-free and dairy-free desserts that did not require any baking. Throughout the process, I began to realize my love for desserts sweetened naturally with honey or maple syrup instead of using refined sugars. This e-book was the launching pad for what was soon to become my first, and last, venture into the world of food production and distribution. After 8 months, a bit too much money, and a lot of frustration I realized my real love was in the blogosphere. 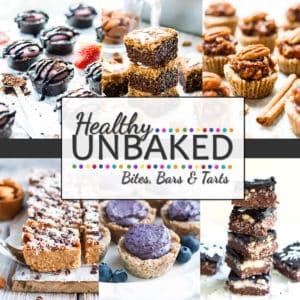 During the operation of Unbaked by L.B., one of the most popular tarts we offered were the healthy blueberry tarts. 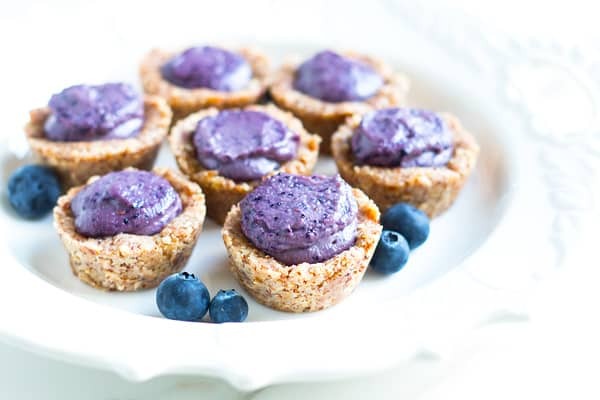 To this day, one of our good friends will still bargain with me and request these healthy blueberry tarts in return. In the bowl of a food processor, process almonds and oats for one minute or until powder forms. Add dates and process 30 seconds. Add remaining tart ingredients and process for 1-2 minutes, scraping down the sides of the bowl every 30 seconds. The mixture will begin to stick together. Press 1-1½-tablespoon sized balls of dough into a mini cupcake cavity. Press the center down and shape the sides of the tart as if making a cup. You should be able to push the mixture up to about ¾ of the height of the cavity. Do this with the remaining crust in the remaining cupcake cavities. In the bowl of a food processor, process cashews for 2 minutes. Combine remaining blueberry filling ingredients. Process for 2-3 minutes more, or until filling is almost completely smooth. Fill almond tarts with equal amounts of blueberry filling. 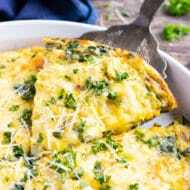 Refrigerate for at least 2 hours before servings. Enjoy! Keep tarts refrigerated between servings for the best texture. Tarts will keep for up to a week if stored properly. 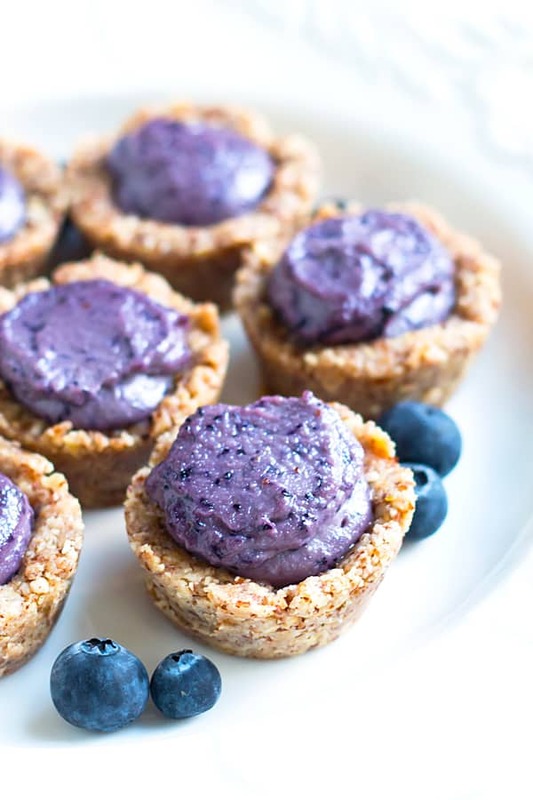 Want more recipes like these Healthy Blueberry Tarts? These delicious tarts are definitely something that I need to make as I love challenging myself to make healthy and raw desserts! What could you substituted for the cashews? I don’t think cashews are raw (they’re toxic if they’re even touched when they’re in their raw form). I’d rather use something else, any tips? Thanks so much, the recipe looks delicious! Sorry for the confusion… I was referring to the “raw” cashews sold in the grocery stores. Technically, these are not completely raw because, yes, they would be toxic. They have undergone some heat treatment but still are loaded with nutrition. As far as replacing these if you’re skeptical of cashews… I might try macadamia nuts? I haven’t tried them, but they would be my closest guess to still using nuts and giving it the right texture. (The flavor may be a little too macadamia-nutty though!) Let me know how they turn out!